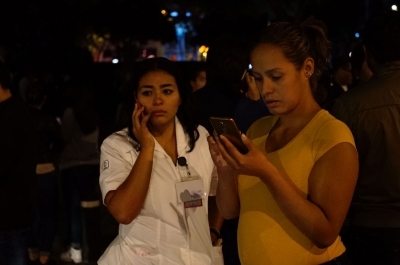 A powerful earthquake measuring 7.3 on the Richter scale hit Guatemala on Friday, just hours after an 8.0 magnitude temblor jolted Mexico, according to weather officials. The quake in Guatemala was confirmed preliminary information released by the National Institute for Seismology, Vulcanology, Meteorology and Hydrology, reports Efe news. The Mexican quake struck off the Pacific Coast 120 km southwest of Tres Picos, Mexico, which is 1,000 km southeast of Mexico City, the US Geological Survey (USGS) said. The Tsunami Warning Centre has issued a tsunami alert and announced that tsunami waves could hit within three hours off the coasts of Mexico, Guatemala, Panama, El Salvador, Costa Rica, Nicaragua, Honduras and even Ecuador. It is not yet known if the quake left any victims or material damage in Guatemala.